Below are four actions I’ve gathered from personal experience, talking with author friends/reading similar posts, and research. I hope that by the end, you’ll be able to read negative reviews of your work in the most objective way possible. Negative bias basically says feedback of a negative nature affects us more than feedback of a neutral or positive nature does (click here for the Wikipedia article). It has an evolutionary basis, because our prehistoric ancestors needed to pay more attention to the lion’s den than to the pretty flower growing next to it. It was about survival. In our current day setting, the bias plays out in our reactions to problems that need solving. Emails of an urgent, negative nature get attention first because we want the problem to go away. Our brains see negative reviews as problems (because they feel like attacks), but we can’t solve them, so they sting more. Neural activity and heart rates increase, as if we’re preparing to go to battle. This is normal. It’s also why they get stuck in our brains while positive reviews blend in with the rest. Anyone who works with kids has heard the advice that for every piece of negative feedback you give a child, there should be ten pieces of positive feedback. This is why. This goes along with negative bias, but it’s important enough to merit its own point. The negative reviews just feel more true, don’t they? Even if cognitively you know they aren’t (especially when the reviewer dings you because of the ebook price set by your publisher, or they were mad because they didn’t like how your character dressed), you feel like you could have done something to prevent the bad review. Here’s the thing: reviews are opinions about your work. That’s it. They’re not about you, personally (in most cases. Reviews that leave personal attacks are a whole different issue). My book has received side-by-side reviews, one positive and one negative, both discussing the characters. One thought they were great and well-rounded, the other thought they were cardboard. Is one more right than the other? I’ve read that 1-star reviews tell more about the reviewer than the thing being reviewed. I tend to agree. There are people out there who seem to really enjoy complaining, and reviews are a great vehicle to do that. I would say a truly 1-star book would have no redeeming qualities. I’m not sure I’ve read such a book, but apparently, some people have read several, including The Hunger Games. Sometimes, negative reviews are more than just opinion. If many say the same thing, like the book needs editing or the formatting was a mess, that’s probably something you need to address (if you’re an independent author and have the power to publish updated material). I read a post by an author that said she accidentally published an early draft and didn’t realize it until the negative reviews rolled in, criticizing her poor editing. You may also see a pattern if you’ve miscategorized your book. I know if I bought a book thinking it was a mystery and it ended up being a western romance, I wouldn’t be a happy reader. I know, it seems completely counter intuitive. Bad reviews = scared away readers, right? While that may be true in a few cases, negative reviews often contain something many positive reviews don’t: specific details. Small picture, a detail the reviewer hated could be something the potential buyer enjoys. Or if the negative review is especially ranty, the buyer may wonder what all the fuss is about. Big picture, the total number of reviews your book has affects how visible it becomes on Amazon. It doesn’t take into account if those reviews are positive or negative. More reviews = better visibility = more sales. I said reviews are not about you, personally. They are also not for you. They are readers talking to other readers. Granted, the online forum opens the door for more negativity than you’d probably see in an in-person book club, but the idea is the same. Reviews are readers talking about content. Responding to a review puts you in a position of challenging someone’s opinion. The chances of you changing the reviewer’s mind with a comment are zero. Just don’t do it. People don’t like to have their opinions challenged, and responding brings attention to the negative review you don’t want people to see. Instead, read all your positive reviews. Print out a few of your favorites and tape them around your desk. Internalize them. You wrote a book that people love! Those ideas are much more deserving of your mental energy. How do you approach negative reviews, either as a writer or a reader? Let us know in the comments! If you enjoyed this post, please like, share, or reblog! Allison has a lot of good advice about negative book reviews in her blog post, but I feel there’s more to be said as one who reviews books for NetGalley and others. I have never given a single star to any book I’ve read. My review history tends to be on the opposite spectrum of five-star reviews. I say tends because I have read two books that did not get a five-star review from me. One book I decided not to review because I did not want to write a poor review, so I decided not reviewing would be more beneficial to the author than not reviewing. I contacted the author and explained to her why I was not going to write a review and told her I wanted to see her succeed as an author. I gave her some recommendations and offered to write her a review if she provided me with an edited revision. I also received an email from her publisher who told me they had made a few changes to the book. Unfortunately, the book was no longer on my NetGalley bookshelf as I had notified NetGalley I was not going to write a review on this particular book. I hope when this book goes to publishing that it does well and the author meets with success. The second book I read that fell below my five-star far-right spectrum; I gave three and a half stars in my review. My review was fair, and the review was not harmful, nor did I berate the author; I lifted her up as the talented writer she is, and she is a genuinely gifted writer that we will see a lot from in the future. I am confident of this and said as much in my review. The novel I reviewed is her first novel, and she will grow. As much as I enjoyed the book, I could not overlook the obvious that was apparent to me as an English major but may have gone unnoticed by a reader without an English degree. I struggled with this one because the author is talented, but I would not have done her justice by giving her five stars. Why do I care? I care for four reasons. I am an English major; I am a writer working on a manuscript between reading and reviewing books; I don’t want to be a half-assed reviewer, and I select books to read that I want to be winners. I find it wrong and unfair to any author that has put their all into writing a book, which entails merely sitting down to write. I cannot think of a book that did not require endless hours of research before beginning the writing process and if as a reviewer, you know anything about the writing process I would think more about giving an author’s book one star and stating what you did not like. That’s not fair to the author, and you cannot call this type of criticism a book review. I will also add that as a book reviewer, I more often than not receive a book that has yet to make it through its first round of editing. As a reader and reviewer, this is frustrating to me because I find myself editing as I read the book which is distracting from the story. Many writers with an English degree will admit to doing the same while reading a book; it’s an occupational hazard. Thanks for adding your perspective! I’m not an “official” reviewer but I also won’t rate a book below three stars. The way I see it, three probably includes some constructive criticism or information that can steer the book to its audience. One star is usually just someone trashing the book. You’re a writer; I don’t know if you are still teaching or not, but there is that. 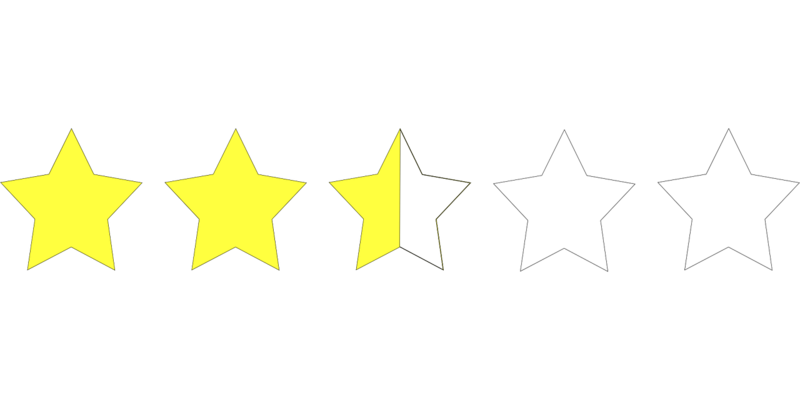 You are more qualified to review an author’s novel than those that give their one stars out and trash the book. Like you, I would never give a review of less below three stars, and luckily I’ve only had one three and a half stars review. Writers should encourage one another and offer positive feedback. I suppose that’s the difference between a writer/reviewer and a reviewer. Your post was perfect for addressing the issue. Thank you! I always read the negative reviews first. Some are just trolling. Some sound as if the reviewer is simply trying to show how smart and talented they are ( usually they are not) – but some are honest and straight-forward. The ones I like the best are the ones that say, “Not my cup of tea.” I can either tell myself that I probably would not like it either or, hey, that is my cup of tea. It is refreshing when they credit their dislike to personal taste, as opposed to objective truth. Here’s a benefit of negative reviews for books without many reviews: they show that not just the author’s friends and family wrote those glowing reviews. Others have read it too and have given unbiased view. Or, as unbiased as some negative reviewers can be. More great (and timely) advice from you — I love your blog. I just got my first negative review (I only have three reviews in total). It does give you a bit of a jolt, but I’d never be stupid enough to respond to a review — the whole point of them is that people are free to state their opinion. The ideal situation for me would be to not look at reviews — but we all know how difficult that would be, especially when we’re just starting out. I’d be interested to know if anyone has managed to get to the stage where they can do that. I would also love to get to that stage. My book has enough that it will likely comfortably sit where it is no matter what rating the several are, but I still find myself compulsively checking. Sigh. This is another really great post Allison! I think there’s a lot of truth to that. As writers, who inevitably are going to struggle with self-doubt every so often, the negative comments are likely to tap into our deepest worries that our work isn’t good enough, and that – by extension – neither are we. But, as you said, a review is someone’s opinion, so responding to a negative one essentially means challenging the other person’s opinion. And all we’ll do by responding is bring attention to the thing we don;t want anyone to see anyway! Yep, that quote pretty much nails it! It’s scary to put our stuff out there, and self doubt is part of the game (there’s even an insecure writers group on fb). Oh well. We all get reviews based on misunderstandings too. 🙂 Thanks for commenting! A negative review can also mean your marketing was so effective it reached people who weren’t interested, you cover and blurb were so enticing the shopper decided to buy, and then they ended up with a product that wasn’t for them. We’ve all done that somewhere along the line, with some kind of product or other. And some negative reviews help validate the positive reviews weren’t all from friends and family. When I look at a book like yours, I’ve had to take a few steps to get to the point where I’m deciding to buy it or not before I look at the reviews, and then I’m probably only checking to see that most people liked it. On many books, when I check the bad reviews, they say more about the reviewer than the author – in that the reviewer often comes off as either petty or that the book just wasn’t for them, and a LOT of times the negative review has LOTS of compliments contained within it, like “Great story, great characters, well, written, I just couldn’t make the leap that XYZ happened.” All in all, a pretty positive. Sounds like it could just as easily have been a 1 star as a 4 star, but the reviewer went the other way. In the end, remember that most authors struggle to get reviews at all. Many have just a handful after six months. Those who have more than six dozen reviews in six months have not just done something right, they’ve done a lot of things right! Thanks for the encouragement. 🙂 Great point about poor reviews meaning marketing worked well. I know I’ve definitely been roped in by something I ended up not enjoying. It’s especially nice when YOU are the marketing department!